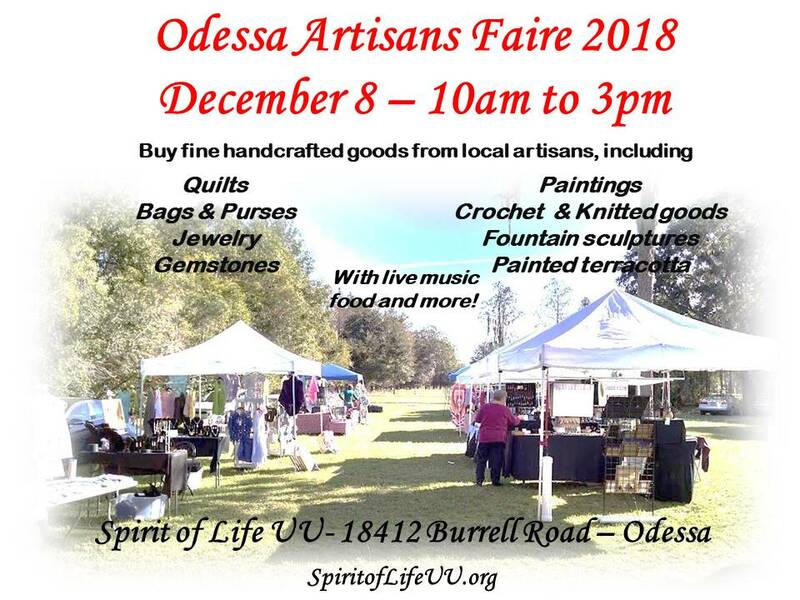 December 8 from 10am-3pm The 3rd Annual Artisan Faire – Come spend some time in the country and enjoy browsing and purchasing from a variety of fine local crafters and live music. Admission is free, and there will be onsite concessions. Wednesday – Building & Grounds Maintenance with Kathy 8-11am. For the past 2 years we have participated in a holiday fundraiser sponsored by the Guardian Ad Litem foundation. We receive gift tags or “angels” with the ages and wants or needs of local area children who might not otherwise have holiday gifts. We will put up our tree and hang our angel cards on the tree. Each person/family of SLUU who wishes to participate will take an angel card (please sign it out first so we know who has which one) and shop for your child or children according to the wants/needs listed on the card. No need to go overboard, remember these are kids who don’t typically get much. The items will go under our tree and the organization will pick everything up on December 9 and deliver them to the kids. Spirit of Life Unitarian Universalists is covenantal and eclectic faith community located at 18412 Burrell Road in Odessa, FL that welcomes seekers from all spiritual, theological and philosophical backgrounds who wish to join in a free, rational and responsible search for truth and meaning in their lives. All are welcome!